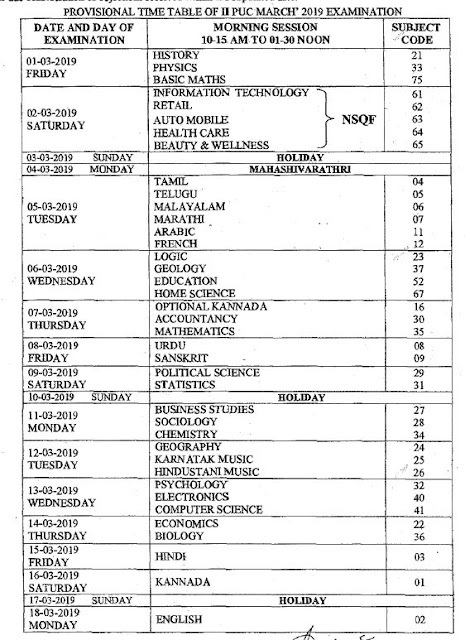 Karnataka Board 2nd PUC Examination Time Table March 2019, PUC Exam Time Table 2019 download available from pue.kar.nic.in website. 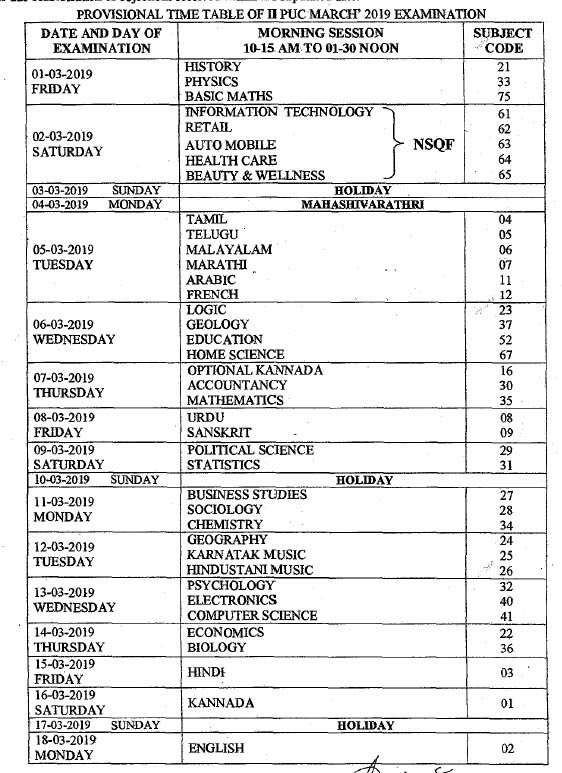 The Karnataka Pre University Education Board (PUE) has conducting 2nd PUC Examinations from 1st March 2019 to 18th March 2019. The first examination start with History and Physics Papers on 1st March and ends with Language Papers on 18th March 2019. Examination Timings: Morning Session -- 10.15 AM to 1:30 PM.